Tim Brotzman explains chip budding to our members. We have to say a huge “Thank You!” to Tim Broztman of Brotzman’s Nursery in Madison, Ohio for taking time out of his extremely busy and demanding life to take a “wagon load” of our members on a tour of their most interesting and impressive nursery. Before I tell you a bit about Brotzman’s, I have to tell you this . . .
Wholesale Only . . . Members of the Trade Only! Brotzman’s is a wholesale nursery serving garden centers, landscape contractors, landscape architects and other wholesale buyers all over the east coast. Please, please, please, if you are not a licensed member of the trade prepared to place a wholesale order with them please do not call simply to ask questions. They are extremely busy beyond comprehension. On the tour, Tim Brotzman showing us a ‘broom’ on a tree in the nursery. That’s why it so awesome that Tim did me a favor and spent some time with out members. If you are a member of the trade and on the east coast, You have to See Brotzman’s Availability List. In all honesty I don’t think I have the words, the knowledge, the vocabulary to adequately explain what a special place and what a special operation Brotzman’s Nursery is. Many nurseries are all about production, production, production and profit. Brotzman’s produce plenty, they are plenty productive and I’m sure they are profitable. But you don’t have spend much time with Tim Brotzman to realize that he is not driven by profit. He is driven with a passion for rare and really difficult to find plants. He is driven by quality! With the tour over Tim took time to visit with our members. Brotzman’s is known for quality. A simple example a lot of people grow Canadian Hemlock trees. But not everybody spends as much time and effort as Brotzman’s do to make sure every single Canadian Hemlock on the farm is straight and single stem. That’s really just a minor thing, but everything they do is with the same passion. 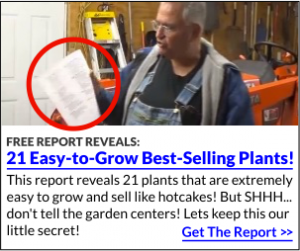 You should see the size of some of the plants they grow and sell! Over the years the Brotzmans’s have Introduced an Impressive List of New Plants to the market. Some have been patented, some have not. But my all time favorite is the Lavender Twist Weeping Redbud Tree. Lavender Twist Weeping Redbud Tree, Coral Bells and a small Japanese maple tree. The story of how the Weeping Lavender Twist came to be is here; but here’s another little known story. Once Brotzman’s brought the Lavender Twist to market they went to work trying to create a similar tree with white flowers. It took them a Painstaking Twelve Years but they got it done and introduced ‘Vanilla Twist’ Weeping Redbud. Click the link to see photos on their website. Tim Brotzman has a passion for Witch Hazels and grows 150 different varieties!!! And that’s what I mean about Brotzman’s. They do what they do, not hoping to get rich, but to make sure these beautiful and unique plants never lose their place on this earth. They are rich in ways that would make anybody envious. Their 80 acre farm is one of the most beautiful, breath taking and serene places in all of Ohio. It truly is a production arboretum. Once again Tim Broztman, Thank You So Much for spending time with our aspiring growers. You have no idea how much this meant to me and the members. Fergus looks pregnant. Is that one okay?? What goes?? Fergus is fine, he’s a little chubby like me.